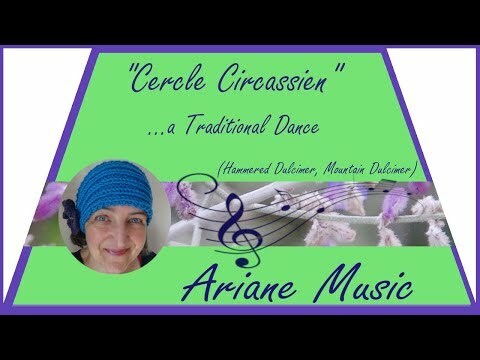 The "Cercle Circassien" (Circassian Circle) is a traditional dance from Scotland (Lanarkshire) of the late 19th century. It is a "mixer" dance which means that you get a new partner for each set. What a feisty tune! I LOVE this Ariane! Thank you all, Dusty, Kevin, Steven, Phil and Bob, for your wonderful comments. Awesome! What a grand tune and splendid playing (again!). Another wonderful tune! And watching you play that hammered dulcimer was mesmerizing. Very nice indeed!